A hard-working single mom from Philadelphia reportedly now faces more than 11 years in prison on multiple gun charges — but the details behind the charges have stunned people across the nation. Shaneen Allen, a single mother to two young boys, is a legal concealed carry permit holder. She reportedly obtained her permit to protect herself and her kids after she was robbed twice. Allen has no prior criminal record and everything about her gun and concealed carry permit is legal. However, her nightmare began when she traveled to New Jersey from Philadelphia. Allen was reportedly pulled over by a New Jersey cop for an “unsafe lane change” back in October 2013. Doing what she had been trained to do, the mother informed the officer that she is a concealed carry permit holder and armed at the time. What she didn’t know was that her permit and firearm became instantly illegal once she crossed into New Jersey, a state with extremely strict gun laws. As TheBlaze previously reported, the mother was arrested and at first faced about 3 years in prison. Allen reportedly appeared in court this week and, to many people’s surprise, the case wasn’t dismissed by the judge. In fact, she now reportedly faces a maximum sentence of 10 years in prison for possession a concealed weapon and another potential 18 months for possession of hollow-point bullets — more than 11.5 years in total. My9NJ.com reports that the prosecutor wouldn’t even allow Allen to accept a pretrial deal in order to avoid jail time. Instead, the prosecutor reportedly offered her a plea bargain that includes five years in prison with no option of parole for 3.5 years. “Either of those two, the judge or the prosecutor could have taken steps to relieve Shaneen from this situation, but it didn’t happen,” he added. via She’s a Law-Abiding Single Mom With a Concealed Carry Permit — The Reason She Faces Over 11 Years in Jail Is Almost Unbelievable | Video | TheBlaze.com. Call until the phone banks melt. Democrat black reverend, who brought “hundreds” to the polls for promise of payment, exposes alleged massive voter fraud, vote buying operation by Cochran campaign. A black reverend stiffed by the Cochran campaign has exposed an alleged criminal conspiracy by Cochran staffers to commit massive voter fraud ahead of Tuesday’s controversial U.S. Senate Republican runoff election in Mississippi. It is illegal under several provisions of Mississippi law and federal law for campaign officials to bribe voters with cash and punishable up to five years in jail. (MS Code 97-13-1; MS Code 97-13-3 (2013) (Federal Code 18 U.S.C. 597, U.S.C. 1973i(c)) Voter fraud schemes are not unusual for Mississippi. In 1999 Mississippi’s attorney general reported massive voter fraud allegations throughout the Magnolia state. In 2011, a Mississippi NAACP leader was sent to prison for voter fraud, according to the Daily Caller. It would seem that laws were broken here, too. At the direction of the Cochran campaign, Reverend Fielder went “door to door, different places, mostly impoverished neighborhoods, to the housing authorities and stuff like that,” telling fellow blacks that McDaniel was a racist and promising them $15 per vote. “They sold me on the fact that he was a racist and that the right thing to do was to keep him out of office,” Fielder says. Text messages released to Got News and a recorded interview with Reverend Fielder confirmed that Saleem Baird, a staffer with the Cochran campaign and current legislative aide to U.S. Senator Roger Wicker, and Cochran campaign manager, Kirk Sims, were involved in a $15-per-vote cash bribery scheme to target members of the black community. “They said they needed black votes,” said the Reverend Fielder on the phone. He says Baird told him to “give the fifteen dollars in each envelope to people as they go in and vote. You know, not right outside of the polling place but he would actually recruit people with the $15 dollars and they would go in and vote.” Fielder said he received thousands of dollars in envelopes from Baird and distributed them accordingly. Fielder also says he went to the campaign office on another occasion to pick up $300 in cash and was among a room full of people who were doing the same thing he was. For his efforts, Fielder says the Cochran campaign and Baird promised him $16,000 for paying black voters $15 a vote, but Baird wound up stiffing him. Baird even asked him to delete all texts between the two of them. In addition to Baird, Fielder says he spoke with Kirk Sims, the Cochran campaign manager, and a woman named “Amanda” with the campaign, most likely Amanda Shook, director of operations to re-elect Thad Cochran. All refused to pay him the agreed upon amount of $16,000. Fielder confronted Saleem the weekend before the election and asked about whether or not McDaniel was actually a racist and Baird confirmed it. Baird “personally confirmed that McDaniel was a racist.” Baird ‘manipulated me to manipulate many other people,” says Fielder. Baird did not disclose that he worked as a paid legislative staffer for Senator Roger Wicker. Fielder also says he spoke with campaign manager Kirk Sims about getting paid and about the ethical complaints he had. Fielder is a Democrat but said he has voted for Republicans in the past. And though Fielder is being paid for his story by Got News, he says he’d come forward anyway. “I thought what I did was wrong.” Fielder said he was motivated mostly by concerns that McDaniel was a racist, not money. Got News tried calling both Baird and Sims with Fielder on the line. We got through to Sims but Sims insisted that there was a bad connection when Fielder asked about the racist smear campaign against Chris McDaniel and hung up. Were Baird found to have violated any laws in this matter, this would not be his first time he had a brush with the wrong side of the law. In 2011, Baird, who is a legislative staffer with U.S. Senator Roger Wicker, was allowed to keep his job with the senator after being arrested on charges of running an illegal strip joint in Jackson. Fully aware that we have helped reveal the Cochran campaign may be involved in a criminal conspiracy, Got News will turn over any and all evidence to law enforcement. Imprisoned Marine Calls Glenn Beck From Mexican Prison, Shares Disturbing New Details About His Confinement | TheBlaze.com. U.S. Marine Sgt. Andrew Tahmooressi has been detained by Mexican authorities since March 31, when he says he accidentally drove across the border with three legally registered firearms in his vehicle. Much of his time has been spent in La Mesa Penitentiary, one of Mexico’s most dangerous and notorious prisons. On Monday, Tahmooressi called Glenn Beck from prison with the help of his mother, Jill Tahmooressi, for a live radio interview about the circumstances that led to his arrest, and what has happened since. The 25-year-old also divulged a number of disturbing new details about his confinement. That was the night he tried to escape. Jill Tahmooressi has shared with TheBlaze how she received a gut-wrenching phone call that day from her son. She said he begged her not to come down and investigate if he didn’t survive, or she would be killed, too. Tahmooressi didn’t make it far before he was was caught and shot at by a prison guard, at which point he surrendered. Tahmooressi said the next day, one of his legs was chained to one wall, and his arm was chained to a separate wall roughly 2 feet above his head. “I was there with my hand dangling above my head with no circulation going to my — or a very minimum circulation — going to my fingers there for about maybe, I think it was maybe 24 hours with no food, no water,” he continued. Tahmooressi said that after all the threats he had received, he was still afraid the prisoners were going to find him and torture him for information about his family. After Tahmooressi received medical care, he was sent back to solitary confinement where his hands and feet were handcuffed to a bed for roughly 30 days. Beck asked Tahmooressi if he could give him his word that he is innocent, and that he had no illicit intentions in Mexico. Tahmooressi, who faces up to 21 years in prison if convicted, said he is “confident” the judge is going to see he is innocent. He is also grateful for the lawmakers who have taken up his case, and that Secretary of State John Kerry recently got involved. Beck and his radio co-hosts remarked on how calm Tahmooressi was throughout the interview, saying he didn’t seem bitter or out of control in any way. The full episode of The Glenn Beck Program, along with many other live-streaming shows and thousands of hours of on-demand content, is available on just about any digital device. Get it all with a FREE TRIAL. 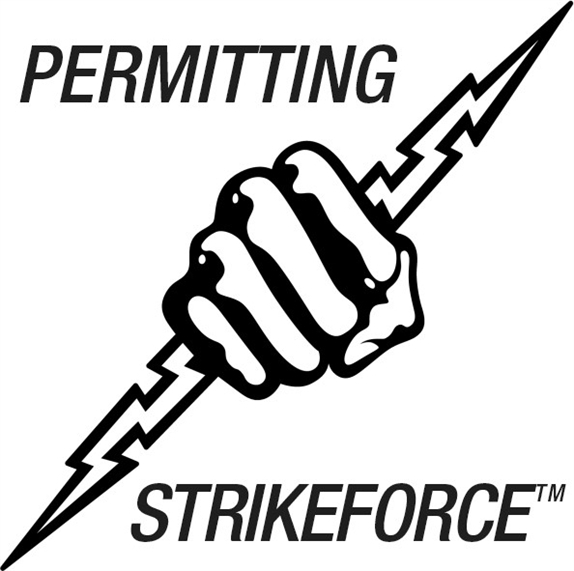 ANJRPC Permitting StrikeForce! – Association of New Jersey Rifle and Pistol Clubs. With Permitting Abuses You Have Suffered! On February 25, 2014, ANJRPC announce the launch of its Permitting StrikeForce™ program—an ambitious statewide initiative to address firearms permitting abuses throughout the entire Garden State. The program is aimed at ending, once and for all, the extensive delays, unauthorized conditions, and other widespread abuses plaguing the issuance of firearms ID cards and handgun purchase permits. The notices will facilitate possible legal action against non-compliant towns, and include a detailed 10-page analysis of current law, together with copies of controlling legal documents, including an important new court decision forbidding additional conditions on permit applications beyond what state law already requires. Many towns impose outrageous, unauthorized conditions including employer notification, spousal consent, disclosure of all household member names, and passing a written exam. ANJRPC first began addressing permitting issues on a case-by-case basis in 2009. Recent legal developments made it viable to launch ANJRPC’S Permitting StrikeForce™ as the first-ever comprehensive compliance sweep over the entire state. The program is synergistic and complementary with the efforts of other organizations on permitting issues. PLEASE SUPPORT OUR EFFORTS! JOIN or DONATE TO ANJRPC TODAY! SUBSCRIBE TO ANJRPC’S FREE EMAIL ALERTS. TWEETER JAIL 4 ME? WTF ! Your account (@TheBonfireMedia) is currently suspended. For more information, please visit Suspended Accounts. OOPS ONE GOT AWAY, don’t worry #TeamWendy will get them next time. Before she donned her hot pink sneakers and became a voice for abortion supporters across the nation, Wendy Davis was a single mother at age 19. Being a single mother raised by a single mother, the odds were stacked against her. However, she worked hard to provide for her child, attended college and eventually graduated from Harvard Law School. Today Wendy is a proven, successful lawmaker in the Texas State Senate. Wendy’s life serves as an example to women across the country facing an unplanned pregnancy and the possibility of single motherhood. Through her story we are reminded that, even in times of uncertainty and challenge, women can raise children and be wonderful examples of success. Join thousands of prolife Americans in thanking Wendy Davis for not only choosing life for her child, but for overcoming difficult challenges to be a successful woman and mother. This letter of support will be made available to Senator Davis for her consideration and encouragement. As an American who believes that all life is valuable and should be protected, I thank you for having the courage to bear and raise your own child when social pressure and personal circumstances were against you. Your actions thirty years ago remind us that courage, hard work, and grace can overcome challenges, for both mother and child. Today, I commit myself to helping the thousands of women across this nation who face unplanned pregnancies. Through the work of life-affirming pregnancy centers, community organizations and local churches, I will support these women in their time of need. I will encourage women in crisis pregnancies to follow the example you set when you gave your child the chance at life. Thank you, Senator, for demonstrating true courage and strength. via Thank Wendy Davis | Thank You Wendy.